It was a busy evening for the musically gifted as fans from all over the world tuned in to see their favorite artists perform at the 38th annual American Music Awards last night. As always, the performances and red carpet fashions were glamorous and envy-worthy. We spotted rockers, rappers, pop princesses and boy band heartthrobs donning luxurious eyewear to accent their signature looks. The tough, rocker look was definitely in full effect as some of our favorites rocked styles with a rough edge. 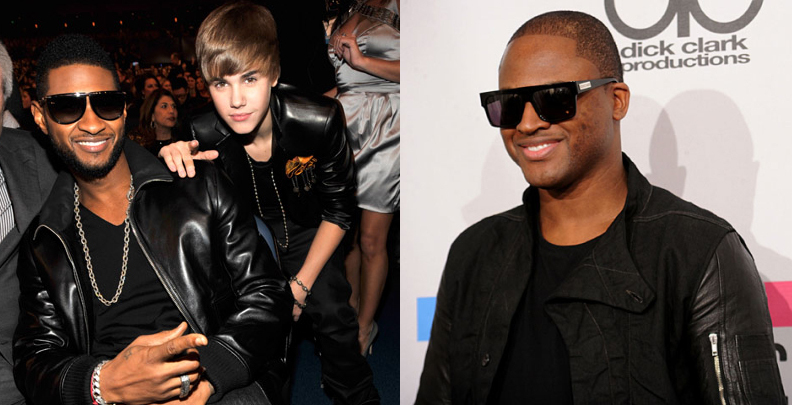 Usher kicked it with his superstar protégé Justin Beiber—who snagged four awards, including Artist of the Year—and looked mighty fine in sleek pair of black shades accented with a striking metal piece that extended from the brow bar to the temples. Taio Cruz was breakin’ hearts with that bad boy smile and oversized flat-tops as he helped present the Favorite Soul/R&B Female Artist award to Rihanna. A night out isn’t complete without a pair of snazzy aviators, so it was no surprise that this look also made its mark on the night. 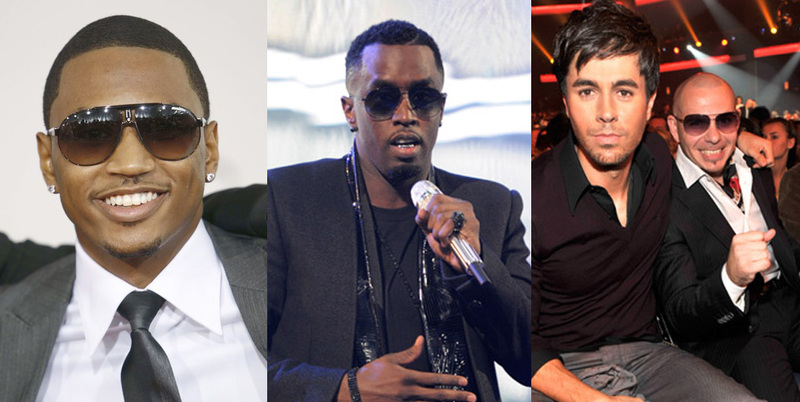 The classic trend graced the faces of some super hot artists—Trey Songz, Sean “Diddy” Combs and Pitbull—who all looked handsomely charming. Nerd-tastic specs also had their time to shine last night. Geek chic took over the stage as a slew of hunky men carried firecracker Katy Perry across the stage. The fellas looked sharp in their trendy, thick and oversized glasses. Cutie Jaden Smith rocked a similar pair of geeky frames as he watched the show in the audience. Taboo from the Black Eyed Peas also went nerdy, wearing rounded, oversized black frames. The rest of the crew, minus Fergie, embraced the futuristic vibe in supersized, blacked out shields.